Make price and promo changes with unprecedented speed and accuracy. Connect, inform and engage with customers in new and more rewarding ways. Price match, or launch new offers, in close to real time with speed, agility and consistency. Easily graduate markdowns and avoid flash sales to protect margins and reduce waste. Show price per unit, recipes, ingredients, sources, country of origin, provenance, competitors’ prices and much more. Replace or improve manual processes that are costly, time-consuming and error-prone. Use big data with in-aisle engagement to send eye-catching, personalised offers to smartphones. With limitless label changes, easily execute all price and promo changes recommended by your big data systems. Create more engaging and profitable store experiences: Free associates to spend more time with customers, and provide more information at the shelf-edge to help influence buying decisions. Free associates from price labelling to spend more time with customers. Launch paperless and personalised rewards schemes based on customers’ search, social and purchase histories. React in seconds to competitors’ prices or promotions and match or exceed them. Display competitors’ prices alongside your own to encourage an immediate purchase. Exit seasonal lines with greater profitability by graduated markdowns and highlighting offers. Provide more information at the shelf-edge; engage tech-savvy customers by sending offers and rewards to their smartphones; and launch price and promos at the drop of a hat. Free associates from price labelling to spend more time advising customers. Show online ratings and reviews, stock levels and competitors’ pricing to persuade shoppers to instantly buy in your store. Quickly launch offers or react in seconds to competitors’ prices or promos. Send offers and rewards to smartphones based on customers’ locations, purchase histories, online reviews and more. Exit overhanging stock with greater profitability by graduating markdowns and highlighting offers. Use messages on labels to highlight popular SKUs to associates and advise on upsell items. Allow brands to promote their products on your labels. Easily display and update all compliance and allergy information, change prices and offers in seconds, on any shelf, and send offers and rewards to customers’ smartphones. Display all required information – e.g. product description, price per unit, weight, allergens and more. Free associates from price labelling, and accelerate inventory tasks, to spend more time with customers. Graduate price reductions on seasonal lines to better protect margins. Highlight offers and promotions, show competitors’ prices, display stock levels, and more, to motivate purchasing. Optimise store processes – e.g. accelerating inventory – and remove label printing costs. Change prices, bundles and promos for any product, on any shelf, in seconds. Display any information, from handset features to monthly costs, insurance details and more. Connect to today’s tech-savvy shoppers via their smartphones in-store in new and engaging ways. Send customers in-aisle offers to their smartphones based on search histories, social activity, purchases and more. Display competitors’ prices and offers to show that a better offer isn’t available elsewhere. Replace manual processes that are costly, time-consuming and error-prone. Free your teams from manual tasks (e.g. pricing) to spend more time helping customers. Easily adjust pricing (e.g. overhanging stock) and highlight offers with bright colours. Free associates to spend more time advising customers. Engage in-aisle with personalised offers sent to their smartphones, and deploy your pricing strategy with speed, agility and consistency. Match the agility of online competitors to price match or launch new offers, with speed, agility and consistency. Display stock levels to customers with pretty much any detail you need, e.g. price, promo, social reviews and much more. Send associates to help when a guest dwells in an aisle. And free associates from manual tasks (e.g. pricing) to spend more time with customers. Use in-store location plus social, search and purchase history data to send customers eye-catching offers in-aisle to their smartphone. Protect margins when exiting seasonal lines by graduating prices. Remove paper from your plant processes by displaying information electronically, to work with greater speed, accuracy and agility. Automatically register goods using our Bluetooth-enabled labels. Easily label new locations when you move items in the warehouse. 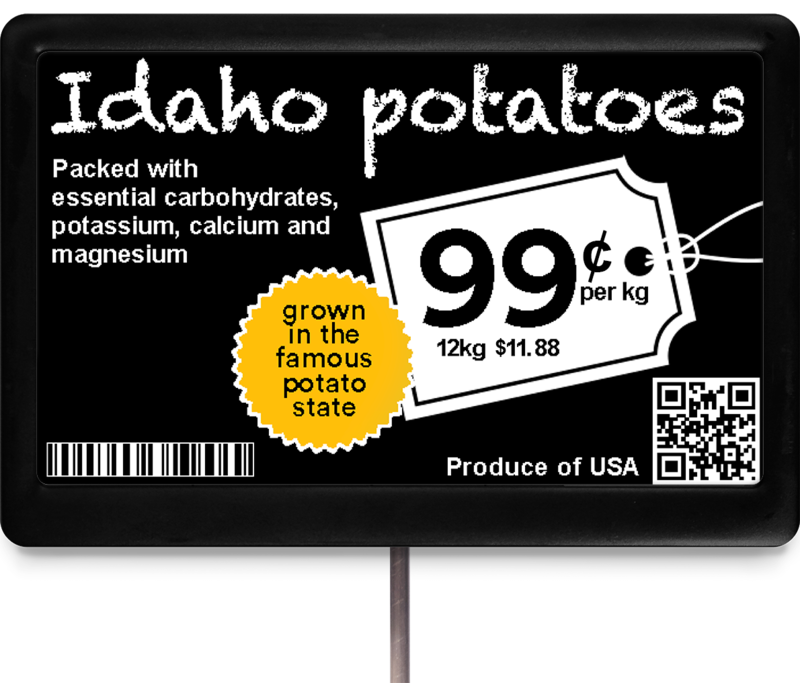 Display – and easily update – picklists for your supermarket teams. Display sequence lists for fitters so they can see they have enough parts to hand. Alert replenishment teams that stock levels are low by highlighting the item on the display using colour. Display and easily update the configuration data for the vehicle moving down the line. Easily reserve meeting rooms and hot desks, and support the hassle-free movement of individuals or complete teams with our clear, cable-free and remotely managed displays. Manage hot desk areas with speed, ease and accuracy. Ease the process of moving and assigning teams – no matter how often you do it. Reduce the expense of desk and space management with easily installed, aesthetic, and low cost, battery-powered displays. 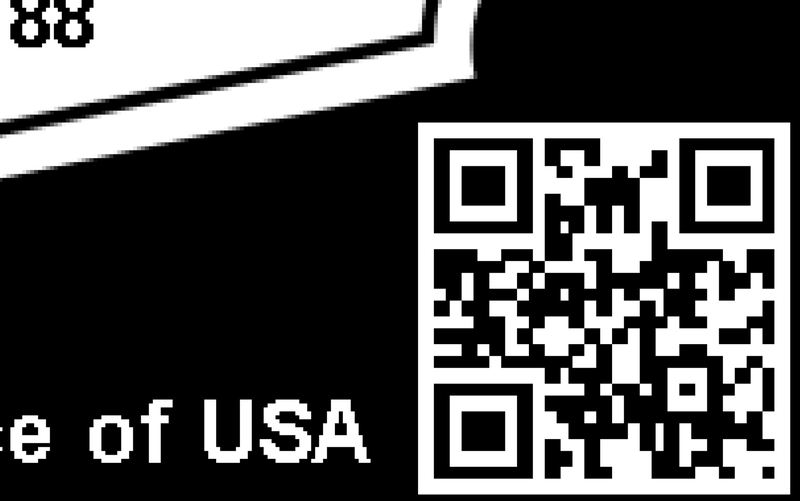 Allow desks to be booked by employees by scanning a QR code on displays using a smartphone. Display any info from desk number to phone numbers, Wi-Fi codes, company logos, emergency details, a snapshot of calendars and much more. Easily manage space whether you have a full-time team or a blend of permanent, freelance and part-time workers.